If you live in England then you’ll know that the hotter days during summer are quite sporadic, meaning you have to master a happy medium when it comes to getting dressed in the morning. This could be anything from throwing a chunky knit over your favourite dress, or adding some ankle socks to your chosen footwear. Basically, anything that says you’re prepared for the weather to change at the drop of a hat. For me personally, this is the type of summer weather my style is most at ease with. I like to be able to wear layers and I’m obsessed with all types of jackets. When it’s scorching, I just tend to give up putting an outfit together and throw on whatever will keep me from having a heat related break down – you know the ones. Unless you’re on a beach somewhere or leisurely strolling through a shaded park, it’s sometimes just not appreciated in the same way. 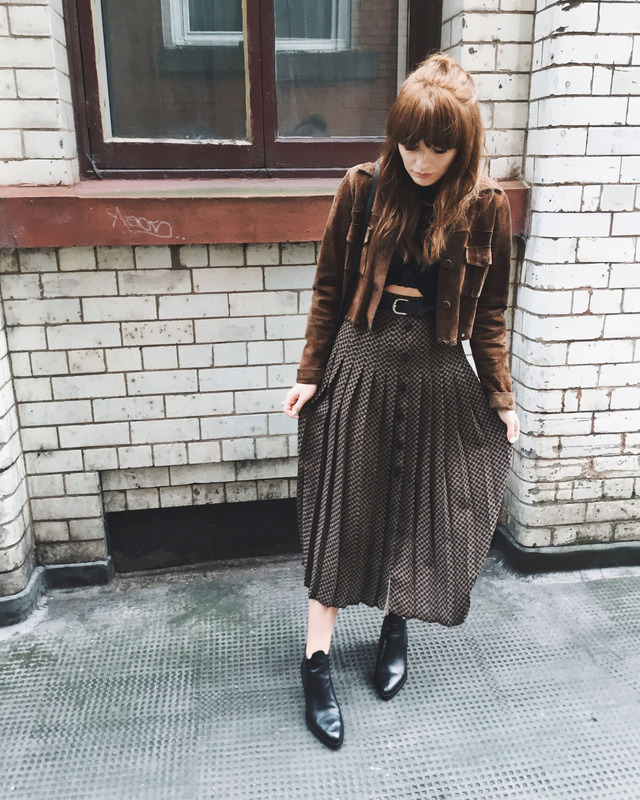 The outfit above is a perfect example of my ideal summer day – although it looks very autumnal with all the shades of brown, it’s actually very floaty and breathable. The skirt is a thin chiffon type material with splits making it breezy to walk around the city in, but also versatile enough to stop and sunbathe. Here, I’m just wearing it with a thin black crop top that I’ve knotted up to break up the colours and make the outfit more summery. 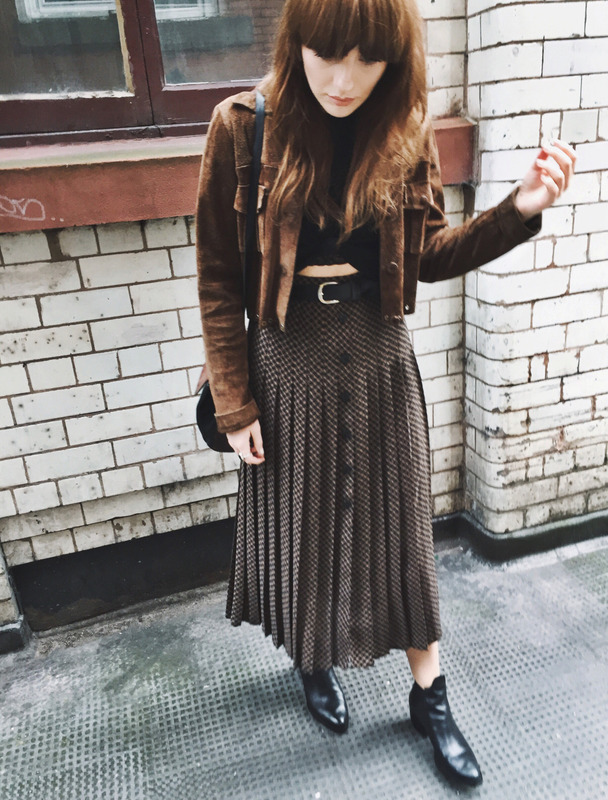 The suede jacket is again very light and makes the whole look a bit more 70’s groupie/Almost Famous kind of vibe. 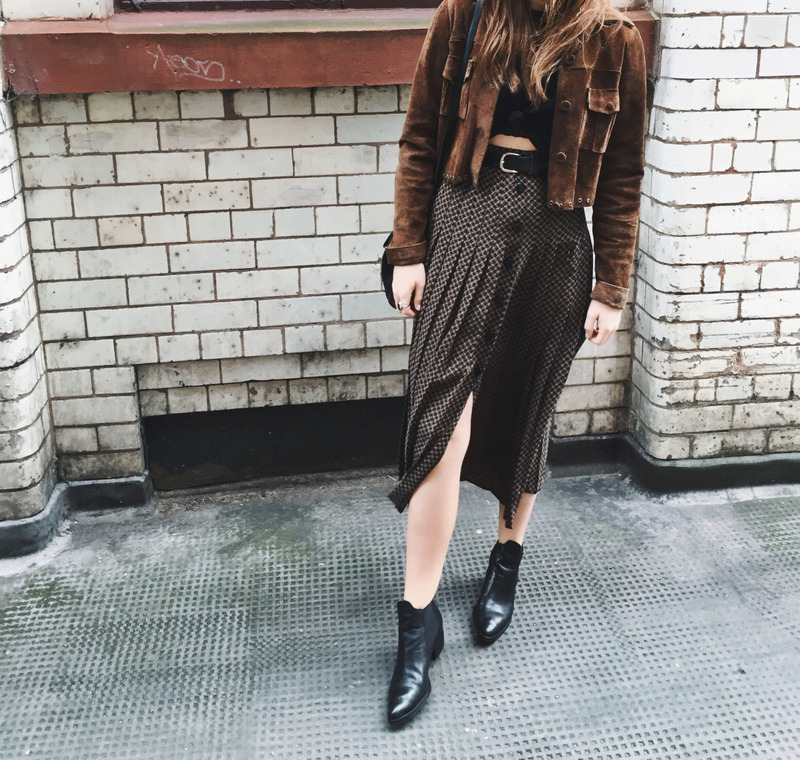 Midi/maxi skirts are great for the warmer weather but can also be a great transitional piece into Autumn with some sheer tights, or some ankle socks and Dr Martens. Plus, you can dress them up or down which seems to be a theme with everything I purchase these days. If its comfortable, looks good, makes me feel great, AND saves time when you have an impromptu night out – you know it’s a winner.